Fast Eagle 102 is the sole surviving aircraft from the air-to-air battle and shoot down of two Libyan Su-22 Fitter aircraft on August 19th, 1981. While on deployment with the USS Nimitz battle group off the Libyan coast, two VF-41 Black Aces F-14A Tomcats encountered two Libyan SU-22 “Fitters” while on a routine combat air patrol over the Gulf of Sidra. The VF-41 Tomcats, call signs Fast Eagle 102and Fast Eagle 107, engaged in a dogfight with the SU-22s shooting down both Libyan jets. The dogfight between the Tomcats and Fitters marked the first Navy air combat confrontation since the Vietnam War and the first ever for the F-14A Tomcat. It was also the first time a variable wing geometry aircraft shot down another variable wing geometry aircraft. Fast Eagle 102 was credited with the first kill. The sole surviving aircraft from this engagement Fast Eagle 102 is now located at the Commemorative Air Force (CAF) High Sky Wing in Midland, Texas. On July 27, 2016, The Flight Deck Veterans Group (FDVG) will begin the much anticipated restoration project on the F-14 Tomcat Fast Eagle 102 and return the aircraft to its former glory. 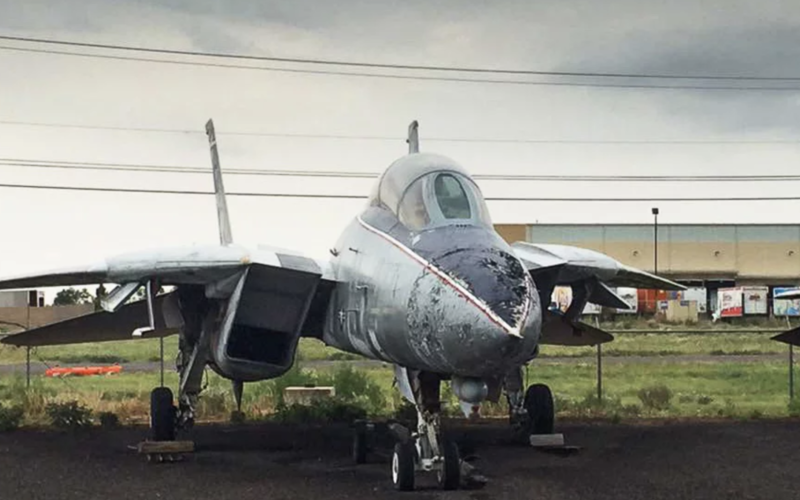 The FDVG members, who are eager and excited to restore the F-14, will work passionately to preserve naval aviation history. Join the CAF High Sky Wing and The Flight Deck Veterans Group at AIRSHO 2016, in Midland, Texas, for a public unveiling ofFast Eagle 102 on Saturday, August 27th with more details to follow.